Internal information is restricted to RIT faculty, staff, students, alumni, contractors, volunteers, and business associates for the conduct of Institute business. Examples include online building floor plans, specific library collections, etc. Public information may be accessed or communicated by anyone without restriction and has no special handling requirements associated with it. To whom do the requirements apply? This Standard applies to everyone who accesses RIT Information Resources, whether affiliated with RIT or not, from on campus or from remote locations, including but not limited to: students, faculty, staff, contractors, consultants, temporary employees, alumni, guests, and volunteers. What are RIT Information Resources? Personal computers, servers, wireless networks, mobile devices, and other devices not owned by RIT but intentionally connected to RIT Information Resources. Everyone who accesses RIT Information Resources should know and understand the four classes of information at RIT and appropriate handling practices for each class. Specific roles and responsibilities are detailed in the Information Access and Protection Standard. RIT Media disposal recommendations may be found at https://www.rit.edu/security/content/media-disposal-recommendations. Private information on a laptop or desktop should be deleted securely using Spirion (Identity Finder). Private information on a server (or where Spirion (Identity Finder) is not available) should be deleted using industry-standard tools and practices in the tables below. Confidential information should be deleted using industry-standard tools and practices in the tables below. Private or confidential information in encrypted form may be deleted securely using the delete button. Recommendations forthcoming. Please contact the Information Security Office for recommendations. If you prefer to use a different tool, please contact the RIT Information Security Office. 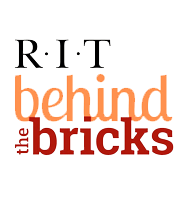 RIT employees handle or are exposed to Private and Confidential information every week. It is important to use appropriate and secure information handling practices to protect these types of information. Inadvertent loss or disclosure of Private information may result in a Notification event under the NYS Information Security Breach and Notification Act. Attendees of the Digital Self Defense (DSD) 103 – Information Handling course will learn new and improve existing information handling skills. Specifically, the course explains the different classes of information at RIT, how these types of information should be treated, and the correct means of storage, transfer, and destruction to be used. Completion of the course should provide the user with the necessary knowledge to be in compliance with the Information Access & Protection (IAP) Standard. DSD 103 Information Handling is now available as a self-paced online class through the RIT E-Learning Zone. Access DSD 103 Information Handling Web-based training on the RIT Talent Roadmap. Login with your RIT credentials. Take the course and complete the post-course assessment.